Born in Beirut in 1989, Ralph Masri has had an international upbringing having lived between Lebanon, Canada, France and the United Kingdom. At the age of 18 he moved to London to train as a jeweler at Central Saint Martins. His first major milestone occurred when he won the Swarovski Award as a first-year student which gave him the opportunity to work for the global brand. e following year he received widespread recognition for his talent by being nominated for a UK Jewellery Award – aged 20 he was the youngest to be nominated. He has worked and designed for other leading household brands and in 2011 he graduated with a Bachelor’s degree in Jewelry Design, setting up his eponymous brand shortly after. 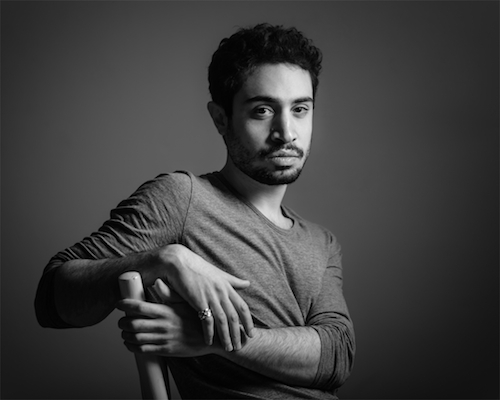 He opened his rst showroom in the heart of Beirut in 2014, and two years later he was named an honorary Fine Jewelry Winner at the 2016 DDFC/Vogue Fashion Prize, cementing his status as one of the Middle East’s top emerging talents. With a love for both fine and fashion jewelry, Ralph fuses both worlds combining the preciousness and finesse of fine jewelry with the bold spirit of fashion jewelry, creating statement pieces with a fervent attention to detail and a strong emphasis on artistry and craftsmanship.